I love these events because they give me the opportunity to meet with a wide variety of customers and get a reality check on the issues they’re facing day to day. With more than 5,400 visitors on hand from around the globe, there was no shortage of people to talk to. It was great to confirm that the trends we’ve been seeing – and trying to address – are in sync with what customers are dealing with. Let’s start with the edge. It’s clear that Internet of Things (IoT) is driving demand for edge data centers. With so many companies taking advantage of IoT for applications ranging from retail to healthcare, it’s generating an enormous amount of data. Statistics from the Cisco Global Cloud Index estimate IoT has the potential to generate 275 times more data than IP traffic by 2020 (a stat we cited in this post on data center market trends). It’s going to take a slew of data centers to deal with all that data, and many of them will need to be edge data centers that are close to the source of the data. That presents significant opportunity for colocation providers and, from the conversations I had, they’re anxious to play a role. So are a lot of our strategic partners, who we’re working with to provide complete edge solutions for customers, including all the IT and supporting infrastructure, software and monitoring services. Such complete solutions can include prefabricated, modular data centers, as detailed in this previous post. The strong pace of growth among colocation providers, and how to manage it, was another theme at the event. Much of that growth is attributed to the Internet Giants who are turning to colocation providers to help them expand into new geographic locations. Currently, we see about half of all colocation space going to Internet Giants, and it’s only growing; it won’t be long before they represent a majority of colocation business. For proof of the impressive colo growth, consider the gains some of the larger players are seeing in their stock prices. A few months ago, I heard Herb May, a partner and managing director with DH Capital, an investment bank in New York focused on the Internet infrastructure space, deliver a talk on the topic. In 2017, he said CoreSite saw gains of nearly 60%, Interxion was up more than 50% and CyrusOne was up 45%. Likewise, real estate investment trusts (REITs) were outpacing gains made in a robust stock market for the year. “No industry group has benefitted probably more than the REIT and the colo players,” May said. And he doesn’t expect any slowdown in 2018, especially for providers with highly automated infrastructure. 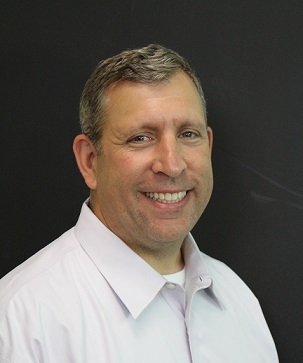 “Cloud and IP traffic growth creates this almost can’t-miss scenario for the data center providers with highly networked and/or scaled campuses,” he said. Keeping up with all this demand for data center space is also driving the need for analytics and other advanced technology. As a result, just as other verticals are taking advantage of IoT technology, so is the data center industry. It’s now possible to instrument various components of the data center and have them continually report on their status, providing real-time data to inform maintenance and efficiency applications. 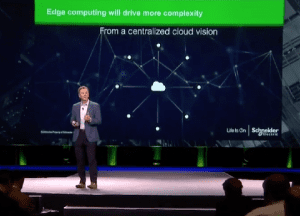 Schneider Electric’s cloud-based EcoStruxure IT TM platform, for example, collects data from all sorts of data center and building devices and infrastructure, from several hundred data centers. It collects the data in a data lake and then applies analytics to “learn” which conditions indicate a certain piece of equipment needs maintenance as well as how to increase efficiency. The result is data center owners get smarter about maintenance and can implement a more predictive rather than reactive or scheduled-based maintenance program. That not only increases uptime but, in many cases, also extends the life of data center infrastructure, thus reducing costs. Similarly, the data EcoStruxure IT collects enables applications that point the way to increased data center efficiency, enabling data center operators to save money. As these systems grow ever-smarter, I expect they’ll be able to automate more and more data center operations tasks as well. Attending events like the Innovation Summit make me appreciate that we are living through a real inflection point in the data center industry. We are at once witnessing astounding growth yet are more than keeping up with it thanks to the application of intelligent, data-driven approaches such as EcoStruxure IT. To learn more about EcoStruxure IT and how it can help you keep up with the growth of your data center while operating more efficiently, access our EcoStruxure IT resources page.